As some of you may have spotted in the news, it’s Christmas. So, I’m taking a break from everything digital until January. Ok, so I MAY tweet the odd ironic aside, but apart from that. It’s farewell from me for 2010. 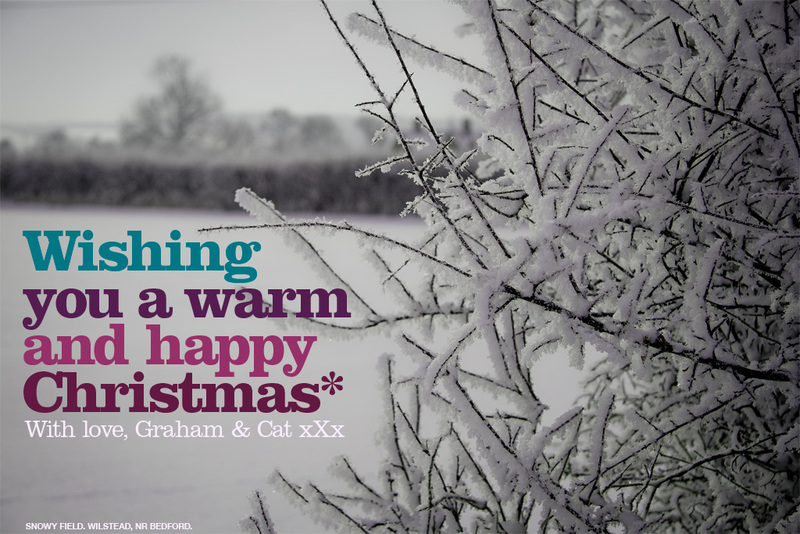 So here is my digital Christmas card, for those who weren’t on my global CC list. Wishing you all a very merry Christmas from me, and my more talented photographic half – Cat Lane.